Here is a comprehensive list of the most commonly asked questions Sachi gets asked. Don't see your question? Get in touch with Sachi! Will you see me as a new, private client? Yes! She also continues to partner with new clients committed to one of her 60 or 90-day Prescription Programs - which she considers to be the most effective way to fully heal, balance and maintain health and harmony within ones being. Learn more on Program here. Will you travel to my home for a consultation / session? Maybe. Sachi is always happy to help people achieve their health goals. She will consider travel for long-term existing clients, and those currently enrolled in a Prescription Program, with time/travel expenses paid – inquire within to schedule. Do I need to live in Miami Beach to enroll in a Program? Hands-on treatments such as acupuncture, micro current, or facials will require you to be Miami Beach. For many other program elements, it is not necessary. Inquire within to have Sachi travel to you. Is there anything I need to do afterwards to keep myself balanced? Maybe. Sachi may make recommendations to maintain the level of harmony achieved in your being post-session and ensure maximum wellness. This could include herbs, tinctures, stretches and other lifestyle and seasonal support considerations. Will you train me? I want to learn what you know and do what you do! In some instances, yes! In others, no. Sachi is a licensed, certified Oriental Physician. This she cannot train or license you in. 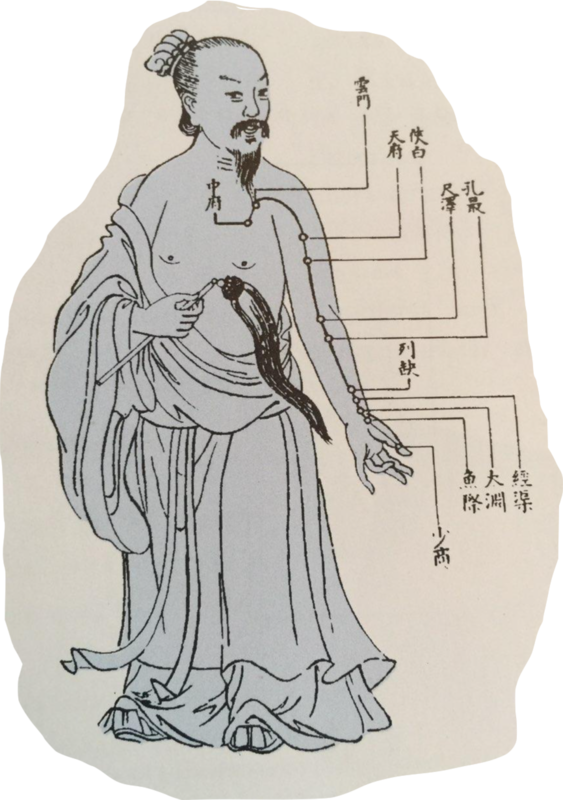 To train in acupuncture, Chinese Medicine or to become an Acupuncture Physician requires varying state oversight, regulations and requirements. Sachi is happy to make recommendations and provide referrals to exceptional schools, physicians and other practitioners. While Sachi can work with people to hone their skills, expand their wisdom in the whole-istic healing arts, she cannot however train someone to become exactly as she is – baby she was born that way! However, the events/workshops she offers, coupled with SachiSays (wisdom-filled tips and picks on whole-istic health, wellness & seasonal support), are designed to impart the decades of wisdom and experience she has gleamed over decades of training and successful work with countless individuals of all ages and all ailments all over the world. If you’re interested in wisdom training, you can inquire within and she will make special arrangements with you. You can also join Sachi’s mailing list to receive SachiSays (wisdom-filled tips and picks on whole-istic health, wellness & seasonal support) and event/training/workshop and other special announcements. What exactly is Acupuncture? How does it work? Acupuncture is the stimulation, by insertion of needles, of specific points on the body that have the ability to alter various biochemical and physiological conditions. Acupuncture stimulates the release of endorphins, which are the body’s natural pain-relieving neurohormones. Acupuncture affects the functioning of the hormonal system, promotes a decrease in inflammation, increased circulation, and relief from pain. Sachi only uses sterile single use needles so there is no risk of infection or transmission of disease. Acupuncture is a gentle and safe treatment that’s suitable for all ages—children to seniors. What does it feel like? What can I expect? Everybody wants to know, ‘Does it hurt?’ Acupuncture is usually a very comfortable treatment. Needles are very fine, metallic and as thin as a hair, making them quite painless upon insertion. Everyone experiences acupuncture differently, but most feel no pain or a tingling or sensation as the needles are inserted. You may experience a mild aching sensation and heaviness or warmth around the needle site – energy is moving after all! This is the “deQi effect.” For most patients these sensations are brief. Most people find their acupuncture treatments relaxing. Adverse effects and complications are almost entirely absent. Cancer— acupuncture is used to treat a variety of side effects from chemo such as nausea and pain. This depends on each individual and the condition being treated. Many people start to see a significant difference within one to two treatments, but some may take longer to respond depending on the condition. Acute injuries are treated as soon as possible and often daily at first. Chronic conditions may require repeat maintenance treatments to maintain the momentum after an initial period of frequent treatments. Post treatment exercise and discipline in diet (Sachi will make recommendations) is extremely important for continued improvement and recovery. Generally treatments every second day (Mon, Wed and Fri) would be considered frequent treatment. Maintenance treatments could range from weekly to monthly or when symptoms begin to recur. Do I need to do anything before or after acupuncture? Do your best to arrive rested and relaxed for your treatment. Eat a light meal prior to treatment, and avoid consuming caffeine or nicotine for 90 minutes before and afterwards. Afterwards, you should continue to take any prescribed medications on schedule. Sachi does not accept insurance. If your insurance company covers acupuncture Sachi will provide you with a reecipt that you may submit to your insurance company. She does provide payment plans for enrollment in 60 & 90-day Wellness Programs, as well as her retreats with payment due in accordance with payment policies. Thankfully, today many insurance plans offer coverage for acupuncture treatment. Contact your insurance company directly to find out if your plan covers acupuncture, and whether there are any limits to the number of treatments covered. Acupuncture may also be covered if you sustained a workplace injury or were injured in a motor vehicle accident.